The physical environment measure describes the health of a community’s natural environment and built environment. Air and water quality are vital to community well-being and have strong impacts on residents across the city. The built environment includes land use and housing metrics that describe how residents are impacted by housing quality and transportation infrastructure. 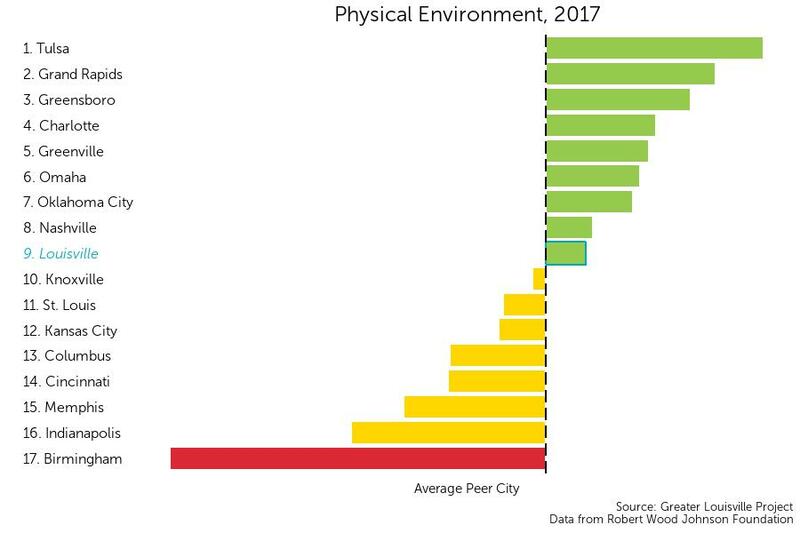 Louisville ranks 9th in terms of physical environment, ranking above its peer city average. This graph shows an index of health behaviors where the vertical black line represents this average and the bars represent how many standard deviations from average each city is.